In May 2013, the Spectator’s Rory Sutherland wrote a very witty piece on the Hitler Guide to Rigging Elections. He included a copy of the now infamous 1938 Anschluss referendum ballot paper, which, as Dr Goebbels remarked, demonstrated “the most effective form of persuasion is when you are not aware you are being persuaded”. This paper is shown further down this blog, but most of you (I hope), once you have seen it, may not be convinced of its subtlety. And go on to explain in great depth why. 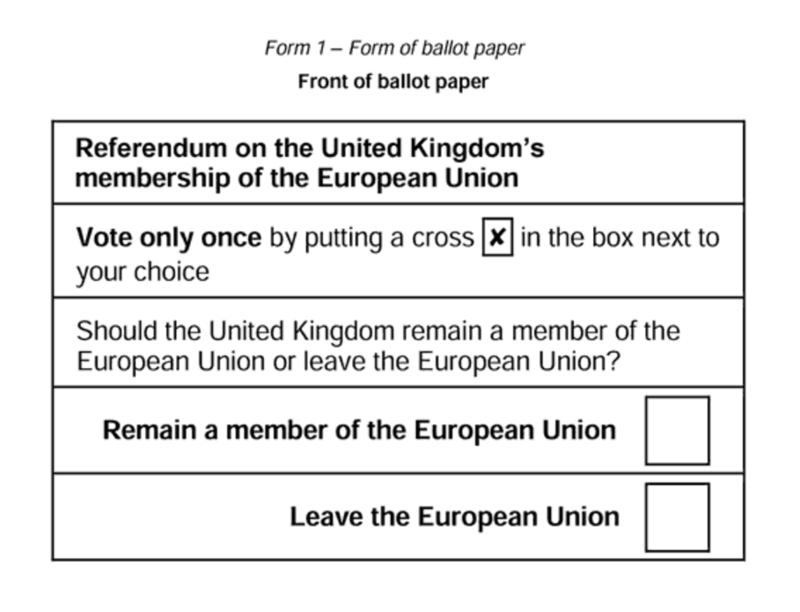 They use as an example of a perfect ballot paper the one which was used for the 2014 Scottish Referendum. Short in words and sweet on simplicity; even my countrymen couldn’t mess this one up. The EPP believes that “The Electoral Commission has produced a complex ballot paper with strong overall visual and also verbal bias”, and have written to them to complain (see their website www.4freedomparty.eu). They have a good point. Ballot papers wherever possible should be as simple as possible. Voters like to be able to see where to put their cross immediately. Elections with multiple candidates from multiple parties can use colour to highlight the party logo. 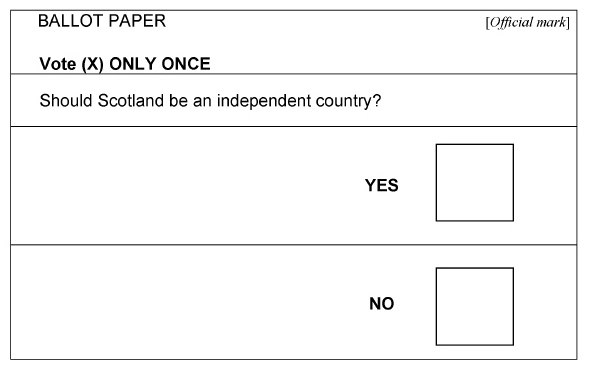 And referenda, where there is usually only 2 choices, should have the simplest paper, like the Scottish one. Hitler’s one was simple too, but in a glaringly obvious way. He won, with an alleged 99%, but then I would not have liked to have been a returning officer on that one. So, be aware of the structure of the 23rd June paper, and tell people.